A beautifully woven wedding band ring in solid 14k white gold. Braid is brushed finished, with high-polished edges, for contrast and design. Also available in 18K or Platinum by special order. May be purchased individually or as a set. 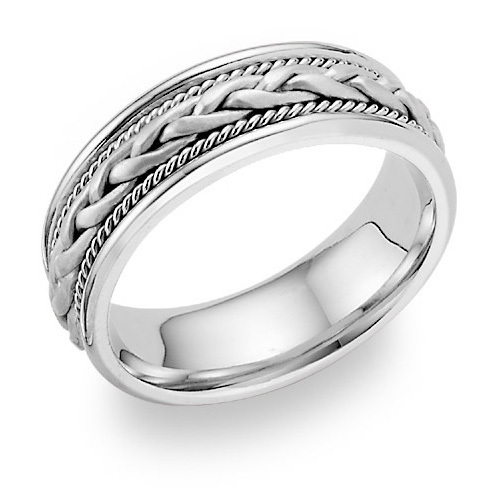 We guarantee our Woven Wedding Band Ring, 14K White Gold to be high quality, authentic jewelry, as described above.